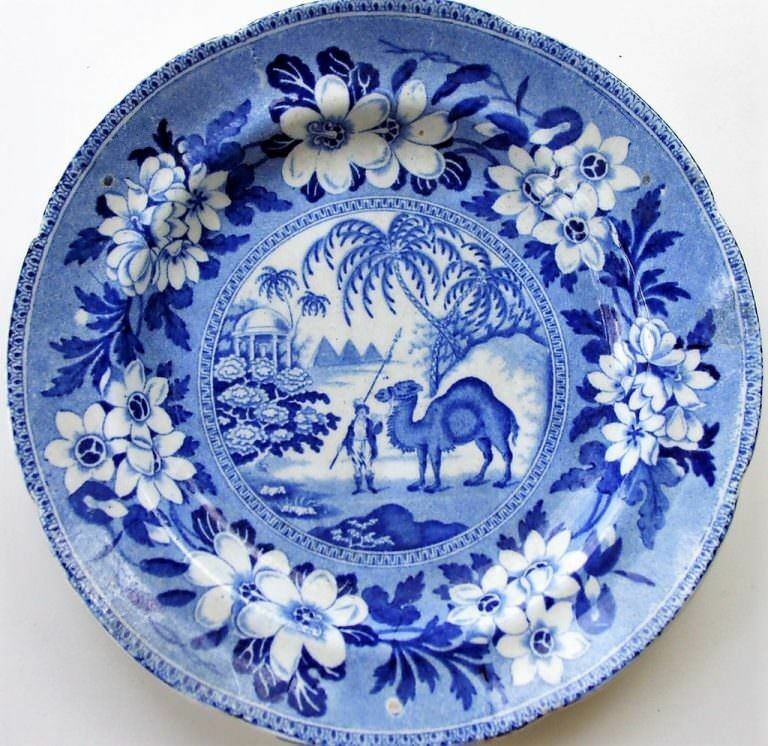 An attractive Early 19th Century Antique English Georgian / Victorian Blue and White Transfer Pottery Tea Plate in the “Dromedary” pattern. 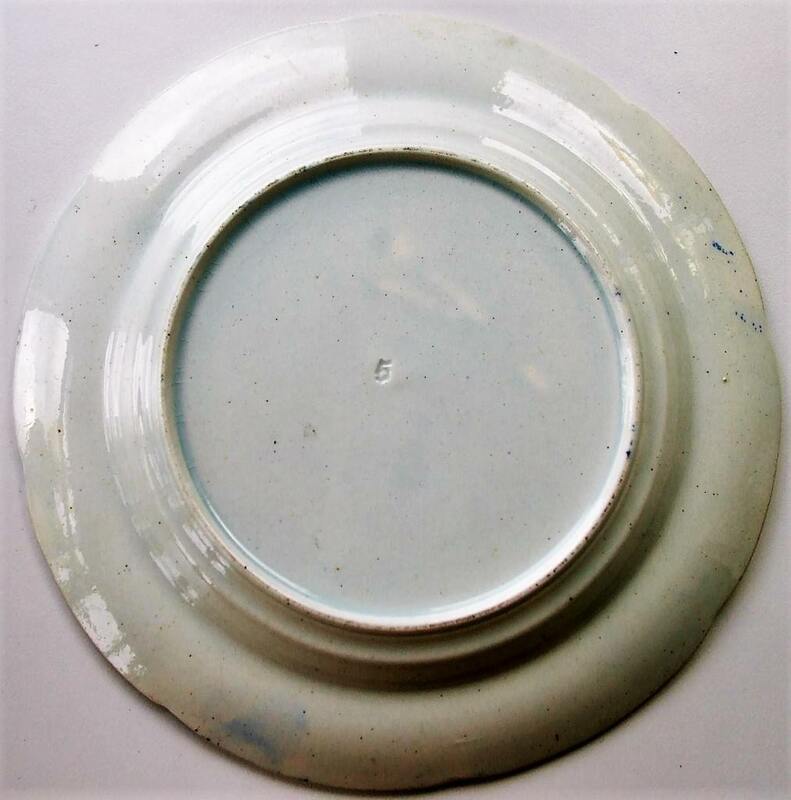 Well printed in a dark blue palette, no Maker’s mark, but the reverse bearing the impressed numeral 5. 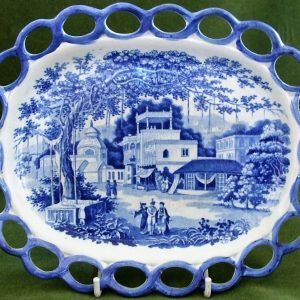 This piece may have been produced either by John and Richard Riley at their Nile Street, Burslem, Staffordshire works, between 1802 and 1828; or alternatively, at the Bristol Pottery of Pountney and Goldney between 1836 and 1849, the latter possibly using Riley’s old copper plates. Width ~ 16.50 cm. 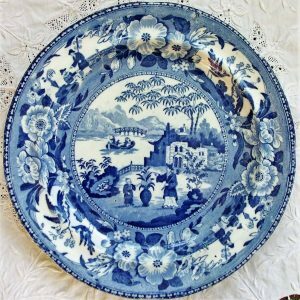 / 6.50 inches ~ Year ~ Circa 1830.